I found this wonderful article about Heath from the guy who owns the 2 Shirts. If you like G. Bush or his team, you might want to skip the end paragraph. Life is a remarkable gift. Theologies claim godly and grand sources for the life force, while scientific minds describe the soul as the remarkable product of complex synapses and motor neurons. We're born anxious to make our mark on the world. If we work at it, we like where life's passions lead us. Family, friends, hope, and desires are driving forces. Beauty in the world and the good work of others inspire us everyday. For the vast majority of us, getting the most out of life means leaving the world a better place. Heath Ledger's brief life was a stellar example of success. In one role in one near-perfect film, his portrayal of a tortured cowboy showed many of us a new way of seeing ourselves. The desperate need for social acceptability drove Ennis Del Mar into tormented loneliness while Ledger's deep, nuanced performance beckoned us along for the ride. At the film's dusty, cold end we're left feeling isolated and lost -- with just two shirts and dream of what should have been possible for Ennis and Jack. Ledger's cowboy was worn but, not hopeless, sad but not foolish. Ennis was making his way in the world -- simply scratching out a living until he came alive on Brokeback Mountain. His newfound sexuality connects to everyone's first time and first love, gay or straight. We can't help but be there around the fire with him and his friend, anticipating that first drunken romp. Ledger's hidden shuffling, mumbling, unsmiling demeanor leaves him while he soars on the mountain. When Ennis confronts his demons in an alley after Jack drives off, he pounds the wall and cries out in a plaintive wail. We know as much as he does that life for him will be eternally sad. It's society's fault for having put that pain there, and through Ledger's subtle, virtuoso effort, we know he's paying the price for humanity's judgment. Finally at the film's end through intertwined shirts, Ennis finds the message he's been looking for -- he was loved deeply. His joy is relegated to his memory and the two shirts and postcard hidden on the inside of his trailer's closet door. Sadly, because the Academy likes an impersonation more than a performance -- and perhaps because somehow Brokeback Mountain was more troublingly "gay" to members of the Academy than Capote, Ledger never had the payoff of accepting Hollywood's coveted Oscar. The reward for Ledger would have to remain in his performance and not in an Oscar statuette. Since religion (and then the psychological establishment) took up arms against homosexuality, it's been a rough ride for every single person with that elusive gene. The rhetoric is its loudest pitch ever under the Bush administration. Bush never admitted to seeing the film that humanized his theological victims; instead, he chuckled uncomfortably when asked about the award-winning flick. And then presidential hopeful Mike Huckabee panders to the homophobic African-American fundamentalists in Atlanta on Martin Luther King Day, droning on about the sanctity of marriage between "one man and one woman." Haven't we had enough of this narrow minded hatred? If humanity wins over hate, the legacy of the likes of Bush and Huckabee will be trumped by Ledger's sensitive performance for years to come, and Ledger's star will remain one of Hollywood's brightest. 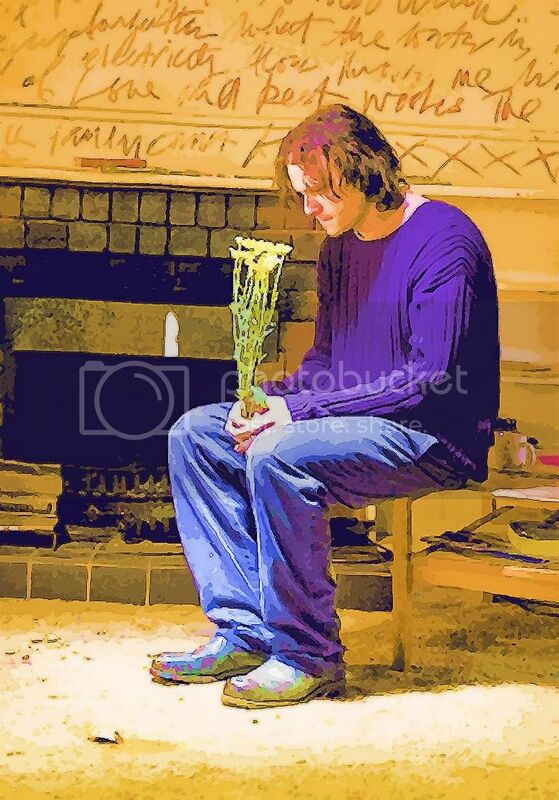 Such a sad scene in Candy, where he's mourning a kind of loss, just as we are now. Thank you, Toastie, so good. Funny for me - MiniMeno has been petitioning to be allowed to draw and and write directly on the walls of her room, and this week I saw with clarity that I should say yes to that. And she's been doing amazing drawing and writing, beyond what she's put on paper. Looking at the poetry in the image makes me gladder I did. Thought this was interesting...the numerological significance of Heath's name. Check out the "Inner Dream Number" especially at the end. English Male From the heath cliff. With the Soul Urge or Motivation number of 4 you are likely to strive for a stable life. You tend to follow a rather orderly pattern and systematic approach in your endeavors. You have an inner desire to serve others in a methodical and diligent manner. You want to be in solid, conventional, and well-regulated activities, and you are somewhat disturbed by innovation and erratic or sudden changes. Excellent at organizing, systematizing, and managing, you have a way of establishing order and maintaining it. You are responsible, reliable and in the final analysis, practical. Highly analytical, you can see your way through all sorts of situations and generally have a clear understanding of the issues. You are a very honest, sincere, and conscientious individual. A lot of the 5 descriptors sure fit Heath. 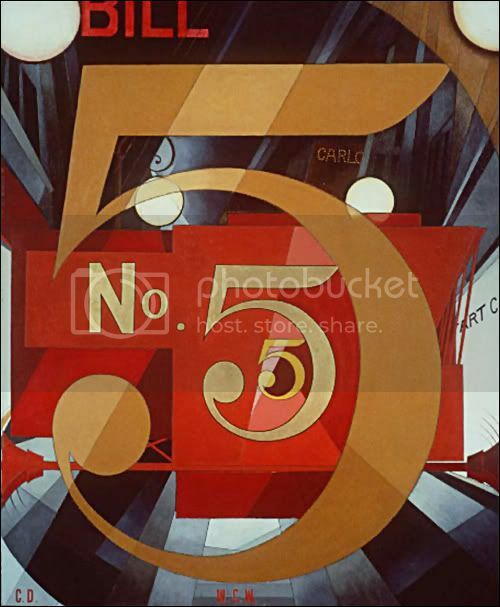 I thought of this painting that I love, by Charles Demuth. It's a tribute to William Carlos Williams. You can see part of "Bill" and "Carlos" in the painting. Sorry I can't be here more right now.